A thin skin perimeter is more of an additional element for full lace cap wigs as opposed to being a stand alone cap construction. The full lace wig comes with the varying elements of full lace wigs (this means the main cap could have stretch at the crown, or a silk base or ear to ear stretch, as well as combs or straps) but have the addition of a thin skin strip, also known as polyurethane (PU) around the perimeter of the wig. 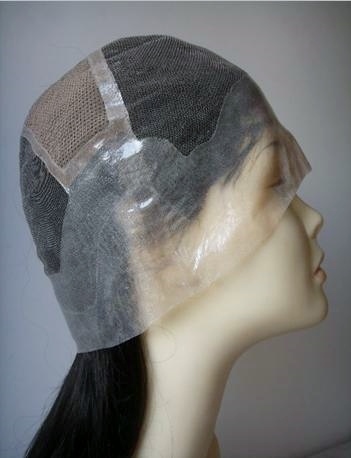 The PU strip is ventilated by hand using a secure looping technique and the hair is not knotted but injected into the thin skin strip, providing the realistic appearance of hair growing naturally out of the wearer's skin. Full lace wigs with a PU strip around the perimeter should be used with an adhesive. The adhesive bond lasts longer with thin skin strips than it does when used with a lace perimeter and the removal of adhesive residue is easier. 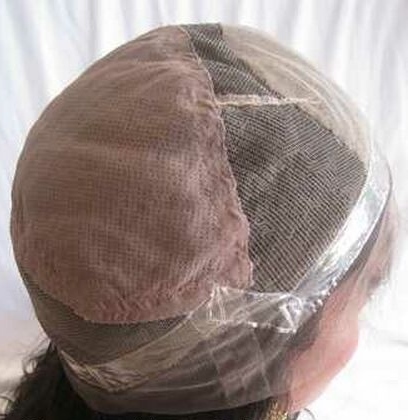 Full lace wig caps that come with a thin skin perimeter without any stretch panels tend to be used by more experienced lace wig wearers. If you're new to full lace wigs it may be a better option to choose a thin skin perimeter full lace wig a with ear-to-stretch or stretch at the crown.